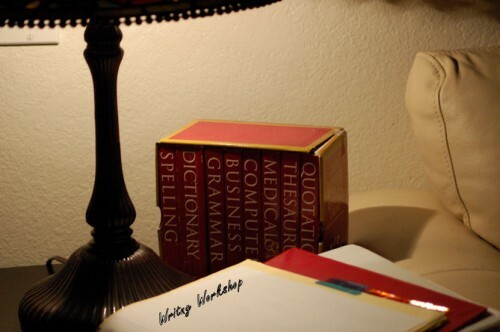 The Writing Center at City College will have a workshop from Sept. 17 through Oct. 1 in LR 144. Photo by Kate Paloy. Students who find themselves with an overwhelming number of red marks on edited essays and other writing assignments or who don’t know where to start on an essay may want to take advantage of the City College Writing Center’s September workshops. From Sept. 17 through Oct. 1 there will be a series of nine writing workshops held in the Writing Center, with topics ranging from writing a paragraph to writing a research paper. These workshops last approximately one hour and are open to any student who wants a little extra help enhancing their academic skills and confidence. For more information, visit the Writing Center in LR 144 or call (916) 558-2126. A full list of dates, times and areas of focus is available here. This entry was posted in Briefs, News, Sac City Express (SCC) and tagged campus, City College, community, help, library, lrc, paragraphs, sac city, Sacramnto, thesis, tutoring, writing, writing center. Bookmark the permalink.